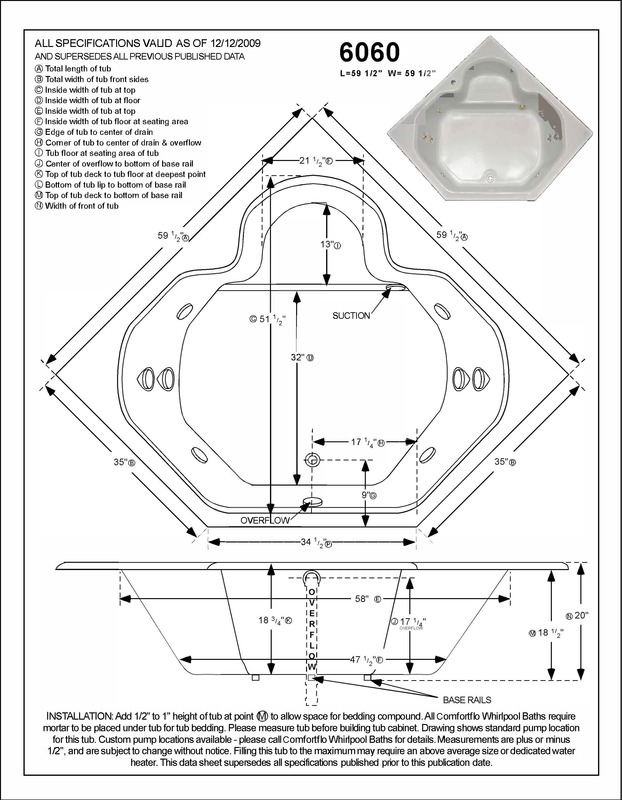 Optimize your bathroom’s square footage with this 60” x 60” corner whirlpool tub. It has plenty of room for two bathers, making it the perfect choice for a master bath. This tub was designed with the woman of the house in mind; it has a raised seat built right in, so she can shave her legs in comfort. Mount a handheld shower on the deck to make her grooming process even easier. Eight jets provide spa-grade hydrotherapy water action for both bathers. They are fully adjustable to customize the bathing experience. 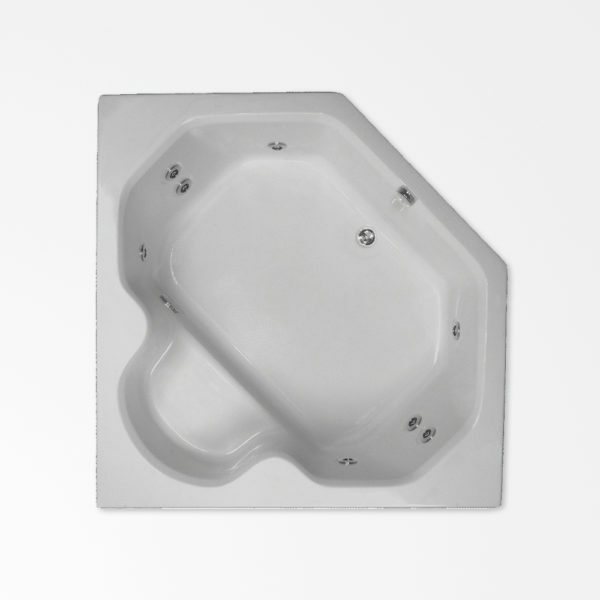 The tub’s surface is made of genuine scratch-resistant Lucite acrylic for enduring beauty and ease of maintenance. Relax in comfort in this roomy whirlpool spa tub and enjoy the peace of mind that comes with making a sound investment in a high-quality product of enduring beauty.